Ralph Adrien Olivier, 62, of Landenberg, died on Nov. 25 at his home. A posting on the Franklin Township website reads, in part, "Ralph brought great expertise to the township and was highly competent in not only his field of endeavor, but many others. His expertise in township issues will be sorely missed. Ralph was a professional by anyone's definition. His wit was refreshing and enjoyed by all that knew him." He was the husband of Carol Blevins Olivier, with whom he shared 25 years of marriage. Born in Fall River, Mass., he was a son of Adrian Olivier of Newark, Del., and the late Ruth Hoehn Olivier. Ralph graduated high school from the American School of Paris, and was a graduate of Cornell University, where he earned a BA in architectural design. He was also a member of the Pi Kappa Alpha Fraternity, to which he was deeply committed. A self-employed architect and a member of the American Institute of Architects, he had a passion for historic preservation. His professional career included designing custom homes and additions, professional and public buildings, and even a control room for an oil refinery in Abu Dhabi. 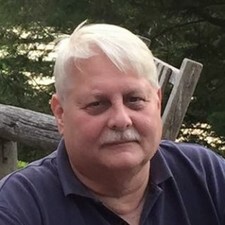 He was a board member of the Franklin Township Planning Commission, HARB (Historical Architectural Review Board), and the Historical Commission. He was an avid reader, a photographer, a history buff who greatly enjoyed comedic old movies, a skilled pianist, and a dedicated member of the German Club in Newark, Del. He enjoyed woodworking, going to auctions, traveling, spending time at his family beach home, and together with his wife, Carol, he took pleasure in bird watching, especially on their visits to Arizona and Utah. In addition to his wife, Ralph is survived by his father, Andy; two brothers, Keith and his wife Christine, and Terry and his wife Peggy; and two nieces, Bethany and Brooke Olivier. A visitation with family and friends will be held from 4 to 6 p.m. on Dec. 1, at the Kuzo & Grieco Funeral Home Inc. (250 W State St., Kennett Square). A service celebrating his life will follow at 6 p.m. Interment will be held privately. To view his online tribute and to share a memory with his family, visit www.griecocares.com.